Boxing is one of the oldest and most efficient combat sports in history. Known as the sweet science, boxing utilizes punches, footwork, and head movement for offensive and defensive purposes. Through proper body mechanics, boxing is as efficient as it is smooth in generating powerful punches and beautiful evasive defense. Evolve University has one of the most authentic Boxing teams in Asia. WBC Boxing World Champion Pongsaklek Wonjongkam (90-5-2 with 47 KOs) and WBA Boxing World Champion Yodsanan Sor Nanthachai Sityodtong (58-3 with 47 KOs) head the Boxing Team at Evolve University. Take your cardio and stamina to a whole other level and get yourself into the best shape of your life through Boxing. At the Boxing for Beginners Program at Evolve University, you’ll receive step-by-step, detailed instructions by authentic World Champion boxers like WBA Boxing World Champion, Yodsanan Sityodtong. The Boxing for Beginners Program covers basic boxing techniques such as stance, footwork, punches, and combinations. Martial artists can now take their Boxing skills to the next level with intermediate combinations, footwork, and defense from authentic World Champion boxers like WBA Boxing World Champion, Yodsanan Sityodtong. 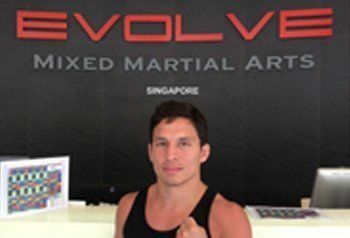 The Boxing for Martial Artists curriculum at Evolve University provides students with tips, tricks, techniques, and strategies martial artists use to help improve their boxing skills. At this level, students are expected to know basic Boxing techniques and have above average cardio and endurance. Receive advanced to expert level boxing tips, strategies and techniques from authentic World Champion boxers like WBA Boxing World Champion, Yodsanan Sityodtong and more. Expand your arsenal of boxing techniques with the many signature techniques that have made our instructors World Champions. The Boxing for Instructors curriculum at Evolve University expects its students to have both basic and intermediate knowledge of Boxing. Students at this level should have had several years of Boxing training as well as some ring experience.